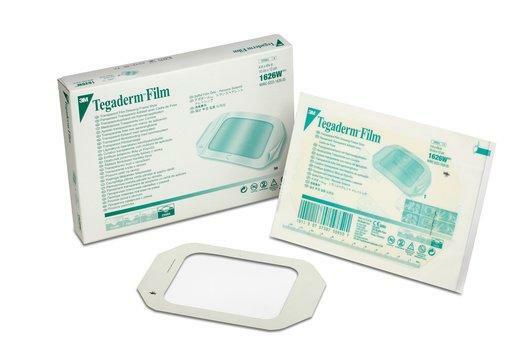 Transparent film dressings designed for protecting skin and wound sites. Frame style allows customization of shape and size to fit any site. Unique sacral shape is designed for challenging and difficult-to-dress areas. 4 inch x 4-3/4 inch (10cm x 12cm). Transparent Film Dressing Frame Style.